In late August, the S&P 500 lost $2 trillion in market capitalization. When market volatility rises, savvy investors utilize diversification to insulate their portfolios from uncertainty. Bonds, precious metals, cash and other low-yielding vehicles are among the most popular diversification options, while real estate offers much higher returns and a broad range of advantages over other asset classes. 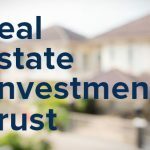 In addition to regular dividends or rent, real estate is an inflation hedge, tax shelter, tangible asset, and has a negative correlation with the stock market. Most investors attempt to diversify into real estate by purchasing REIT stocks. The ease of acquisition, liquidity and low entry fee are among the reasons to own publicly traded REITs. Furthermore, REITs enjoy tax advantages only available through real estate investments and they pay a quarterly dividend. They also lull buyers into believing a real estate-backed security is insulated from market fluctuations. Over the past several days, the market has disproved this thought. 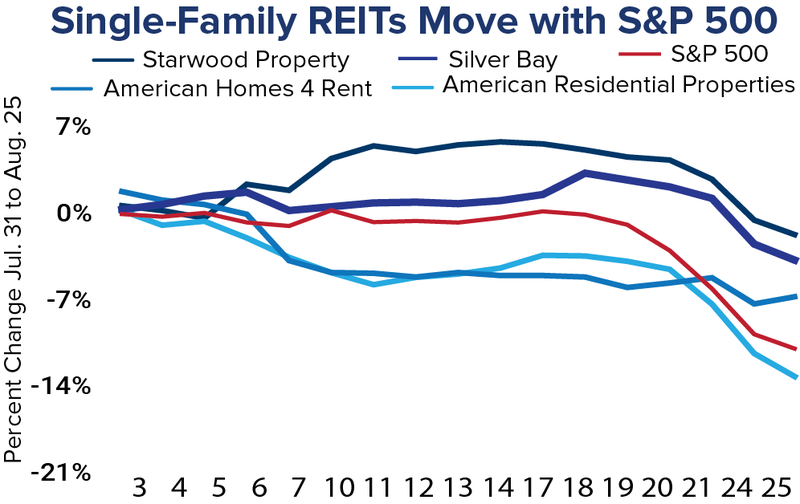 There is very little diversification value in REIT stocks during market corrections. Tangible real estate is a diversification play that should be a part of every investor’s portfolio. Although single-family residences (SFRs) were once considered a specialty asset reserved for insiders, they offer all investors a reasonable entry point into real estate. The formerly localized industry has given way to a national platform for investing. Big data, affordable professional management and institutional research help create an efficient market that supports nationwide investment. Additionally, the deliberate nature of real estate transactions removes panic selling from the asset class, relying more on supply and demand drivers. SFRs have other advantages for investors. Real estate is among the best-sheltered tax havens available, including the popular 1031 exchange. Section 1031 of the IRS code enables investors to allocate proceeds from a sale into a like-kind investment without paying capital gains taxes. Building a portfolio while delaying tax commitments is an effective path to generate a large portfolio. The long-term supply and demand fundamentals also support the future performance of the asset class. Homeownership has fallen to 63.4 percent and could decline to 61 percent by 2030, generating 9 million new households. Builders meanwhile, are focusing on high-end apartments in a few dozen submarkets rather than entry-level homes. As a result, the supply-demand imbalance is pushing rents and occupancy higher. 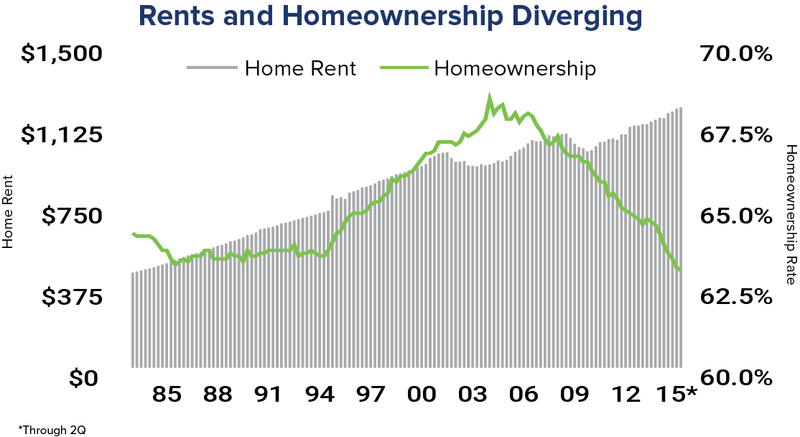 The outlook for single-family rentals is bright and owning real estate is quickly becoming as effortless as owning stock. Sources: HomeUnion® Research Services, Axiometrics Inc., Birinyi Associates, Federal Reserve, National Association of Home Builders, NYSE Data, Standard & Poor’s, Urban Institute, U.S. Census Bureau, U.S. Securities and Exchange Commission, U.S. Treasury Department, Zillow.